It's first impressions that count, so to make sure your company or service gets the attention it deserves. Brochures are the spearhead of marketing efforts: their purpose is not only to inform the customer about the products or services you offer, but also to emphasize the fact that you offer better solutions than your competitors. 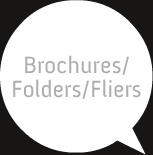 A finely crafted brochure design is a proven way of leaving new customers impressed and likely to come back and buy. We believe in offering our customers a high quality, creative service at a fraction of the cost. Our design team has many years collective experience in all fields of commercial design. We pride ourselves on the high quality of our design work and won't rest until you are 100% satisfied with the job. All our brochure and magazine design packages come with an unlimited number of revisions, giving you piece of mind and reassurance that we will listen to you and take into consideration your wishes throughout the design process. All our finished design work is print ready and thanks to our supplier contacts built up over the years, we are able to offer rock bottom prices on any print job that we are design for you. We will need to know at time of ordering what sort of quantities you might be thinking about and possible paper finishes and we can look into print pricing for you. We'll also take care of delivery, so you can put your feet up and let us get things in motion.